Since 1979, I’ve been manipulating light through art glass. My business name is Cristalvetro. 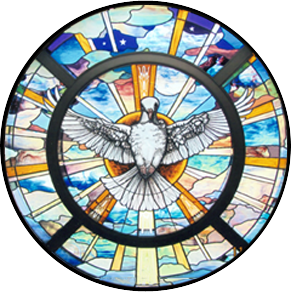 Based in Green Bay, WI, I design and fabricate glass art projects for churches, commercial buildings, and private homes. My Portfolio spans a wide range of projects, including windows, doors, transom lights, side lights, light boxes, clocks and cabinet doors. My work is commonly known as stained glass, but Techniques I apply to my art glass projects include beveling, engraving, painting, carving, chiseling, etching, staining, kiln-firing, kiln-forming, metal casting and soldering. You’re invited to browse through my portfolio to get a feel for the many techniques used. I am one of the few custom bevelers remaining in the United States. My Artist Statement describes my point of view. I’ve got a solid list of References and my Resume shows my dedication to my craft. I would be honored to have the opportunity to do a project for you. Please call 920-494-6762 to get started.